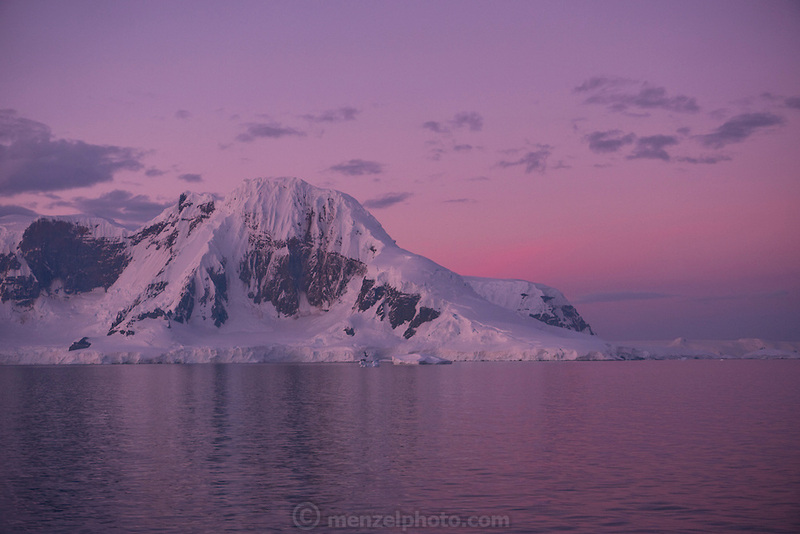 Antarctic Peninsula after summer sunset at 11:35 PM. Because in summer it does not get dark, there are several hours each day/night with pink skies. Seen from the Scandinavian-built ice-breaker Akademik Sergey Vavilov, originally built for the Russian Academy.